Simola Eichmann Communications GmbH is a pro audio dealer and integrator near Zürich, Switzerland. We offer turnkey installations for professionals. We serve film post, broadcast, live, theater and music studios and as the Swiss Avid Audio Elite Partner, SEC is licensed to carry the full line of Avid Audio products and incl. 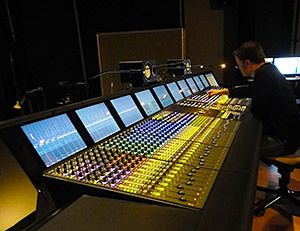 large format consoles. Our typical client wants to concentrate on their work and need a partner which is capable to plan a best possible system and keep the gear working. Because we have professional audio and post background, we understand your needs and are happy to help you to achieve your goals. We try to take ourselves not too seriously but we take our work very seriously and are proud in the trust that our clients have invested in us since 25 years. 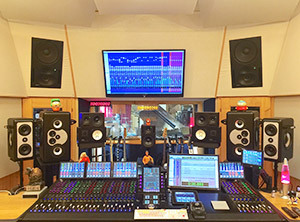 We have installed some of the biggest Pro Tools rigs on the planet and our clients have sold over 50 million albums produced on systems that we installed and continue to support. See “CLIENTS” for pictures and references. We can provide a complete recording studio including construction, acoustics, wiring and of course all audio equipment. Or just Pro Tools software for editing stuff on the road. 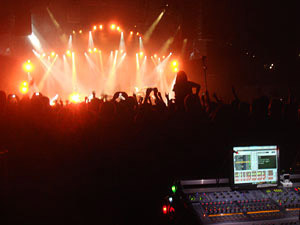 We also offer complete live sound packages including integrated multitrack recording and live broadcasting. In our 200m2 showroom you can test Pro Tools HDX, MTRX, 32-fader S6, S3, etc. And obviously zillions of plug-ins. We also have multiple monitoring solutions (Amphion, ATC, Barefoot, Genelec, Guzauski-Swist, Neumann, PMC, etc. ), industry standard mics (Neumann, AKG, Sennheiser, Shure, EV, AT, etc. ), instruments like Blüthner Grand Piano and hi-end mic pres to test everything in a professional way. Pls don’t hesitate to give us a call or drop a mail. We like to think that we know what we are doing but to be sure, don’t take our word for it, call our clients and ask them why they chose us. Hope to see you soon!